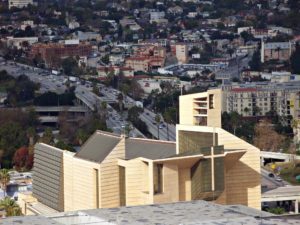 CMF was chosen to fabricate and install the copper roof on the first Roman Catholic cathedral built in the United States in 30 years. 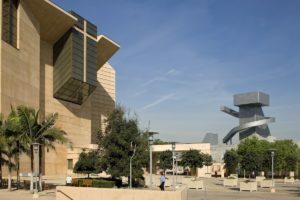 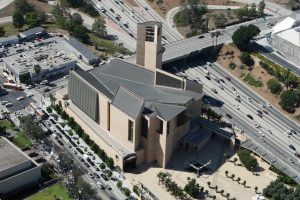 Spanish architect, José Rafael Moneo designed the dynamic, contemporary Cathedral with virtually no right angles. 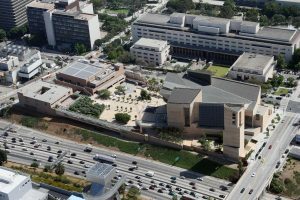 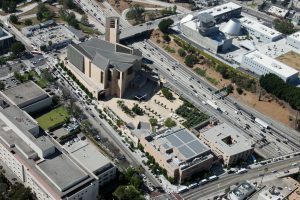 Aerial view showing the Cathedral and its Campanile and the Cortines School for Visual & Performing Arts in the background (also a CMF project).